The USMLE Step 1 or COMLEX 1 for those in D.O. 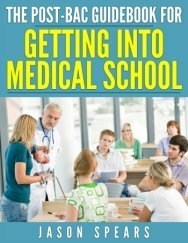 medical schools is the make or break exam for the rest of your career. I know in the past you heard everything was on the line with the MCAT, which was true back then but now you're a medical student and the stakes just went up a notch. What you get on the USMLE aka Boards determines what residency you'll be eligible for. Now some of you may be thinking what about my grades from the first two years of medical school. Those two years actually mean very little. And here's why. First of all some medical schools are pass/fail others are ABCF grading, etc. Do you think a residency director has the time or the inclination to determine what a particular grade means at your medical school? Nope. So the next best thing is standardized scores such as the USMLE. Yeah, same reason why the MCAT will trump GPA as an undergrad too. But Jason, what's the purpose of the basic sciences then? The is to give you a solid foundation for the rest of your medical career. The boards fits into the equation because it is the test that determines if you actually learned anything during your first two years of medical school. So on one hand grades don't matter but on the other hand they do serve to let you know if you are learning the material adequately enough. 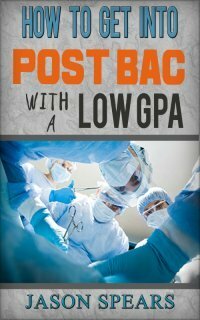 My personal belief is that if you can't do well on the first two years of medical school in the classroom and only have marginally passing grades then you are going to have an uphill battle on the Boards. Obviously, I don't want you to have an uphill battle and I want you to get the best score possible on your Boards. Data taken from 2015 Medscape Physician Pay Report. So yes the numbers do matter. Obviously, this doesn't mean you're not smart if you go into a particular medical specialty. I am just pointing out the more competitive ones have a tendency to pay more and have higher Board scores. Now that we have all that taken care of how do you actually go about getting such Board score of your dreams. If you're a second year medical student I would highly recommend brushing up on anything you didn't master well during the first year. Remember everything in medical school matters so don't think particular topics won't show up on your Boards because they will. One source I think works wonders if you have the time and inclination is to use FireCracker for their spaced learning. Go ahead start flagging topics you need to work on. Use Firecracker throughout the summer and throughout your second year of medical school. Here's where you are really going to start picking up the pace and set yourself ahead of others. you are at a medical school that is organ based even better because you can focus on doing the problems related to the particular module your medical school is covering...giving you more bang for the buck as you prepare for your classroom test you can also prepare for the boards. Another resouce to use while in the classroom is to have your copy of First Aid (FA) (affiliate link) and start annotating it with things you are learning in the classroom, but don't go overboard. FA already has condensed down all the key items you need to know so not everything a professor says is relevant to Boards. Mark FA up with classroom facts you want to know along with explanations to problems from USMLE-Rx. This is a lot of work but it's what you have to do to get a top score on Step 1. Now we're approaching the home stretch. Spring semester is where you get intense about your studies. I want you to purchase the latest edition of FA. Yes, scrap the old book and get the new one. Your annotations made were not a waste of time. In fact, you are now very familiar with the med school bible and should know FA from cover to cover. Time to get UWorld. This is the mother of all problem sets for your Step 1 success. Do the same thing you did with USMLE-Rx and do the associated problems related to the current module you're studying in the classroom. To get the most out of UWorld spend 4-5x the amount of time you did doing the problems reviewing the explanations. The explanations are a great teacher. Use it to your advantage. Be able to say why each answer choice is correct or wrong and if you want to take it a step further learn what you would have to do to make a wrong answer choice correct. Also don't get dejected if you are getting a lot of the questions wrong. UWorld is your teacher and as long as you are learning something from each problem then you are making progress even if you don't think so. The big takeaway is to learn. Some may ask and even consider going through the question bank 2x to shore up your knowledge. Don't. What you will be doing is an exercise in memorization and how well you can recall a problem. The Boards test your critical thinking so don't fall into the trap of thinking you will gain more from doing the same question bank again. You would be better off using a less than stellar question bank which has new questions. The goal is to learn to see how many ways questions can be asked on a particular topic and have the mastery to get the correct answer. When you are in your dedicated studying mode you will want to limit your Firecracker use and do more problems. I would say if you are going to use Firecracker still only flag anatomy and pharmacology. You have enough resources for everything else. Now if you feel you don't know enough then here are the few resources I would recommend. Use Pathoma to get a good start on pathology but I'm sure you have been using this throughout second year. And there's a decent amount of physiology so BRS Physiology(affiliate link) would be another great option to have. Beyond this I think you are pretty much done in regards to additional sources. If you want a program as you study then you always have Doctors in Training (DIT). There you have it how to get ready for USMLE/COMLEX and put yourself on the path to having a great Board score that gets you into the residency you want and need.